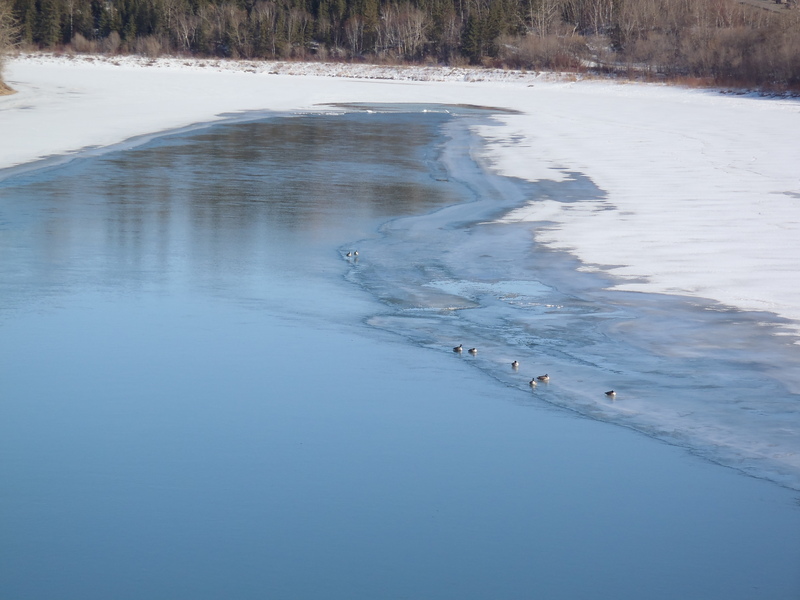 This entry was posted in commuting, Cycling, Spring Cycling and tagged commuting, Edmonton, Geese, North Saskatchewan, spring by tuckamoredew. Bookmark the permalink. I see your version of spring has quite a bit more ice in it in than ours. I really like the goose pictures. Thanks. 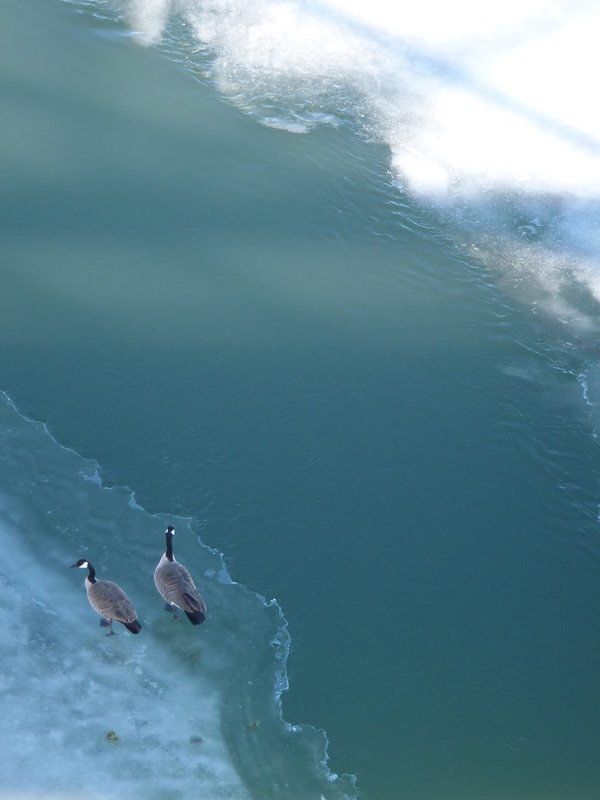 The river does take a while to thaw but the air temperature is quite pleasant. Today it was +9C. It is so rainy as I walk from the bus stop to work. I am not quite ready to bike the three miles to the Park & Ride. But with temps at 45 degrees at 5:30 AM, bicycle riding season is fast approaching for me. Excellent. The warmer weather is welcome all round. 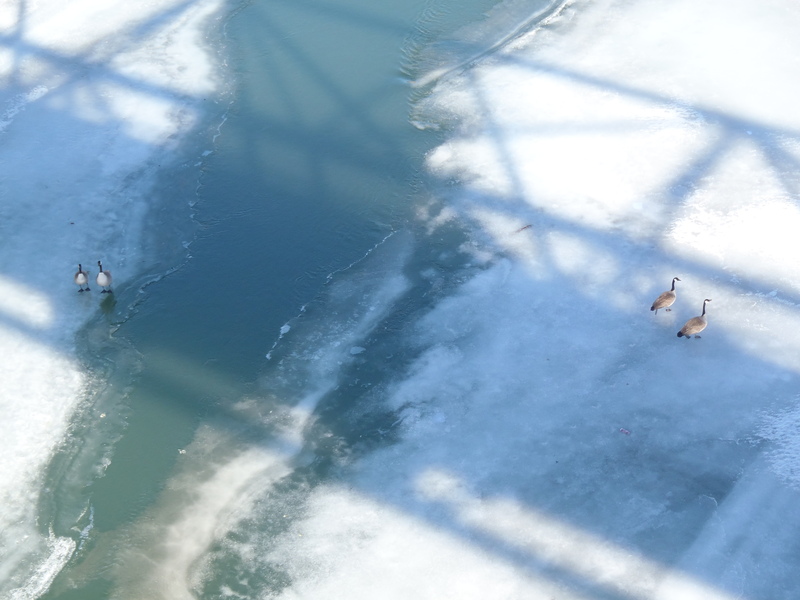 I like the first picture, the sheet of ice the geese are standing on kinda looks like a beach! Yes, the very picture of a Canadian beach in March. They’re lucky they have goose down. Hey, I remember those guys! They were very charming but I must warn you they will relieve themselves wherever the feeling strikes them. Other than that, they were good neighbors. I have had much occasion to notice that about geese in the past. 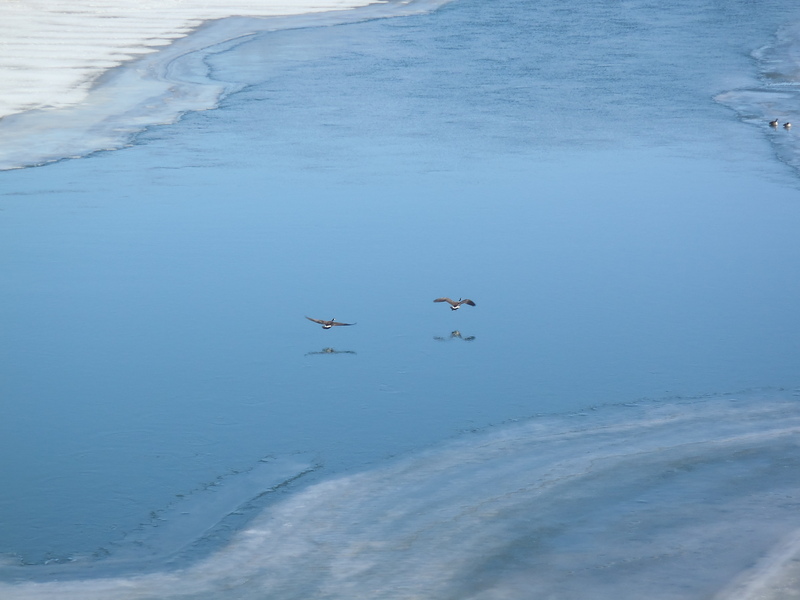 However, I am always happy to see them arrive as it is one of the real signs of Spring…except for the several large flocks my daughter and I spotted flying West in late January. I’m not sure what they were up to. Suspicious avian characters if you ask me.